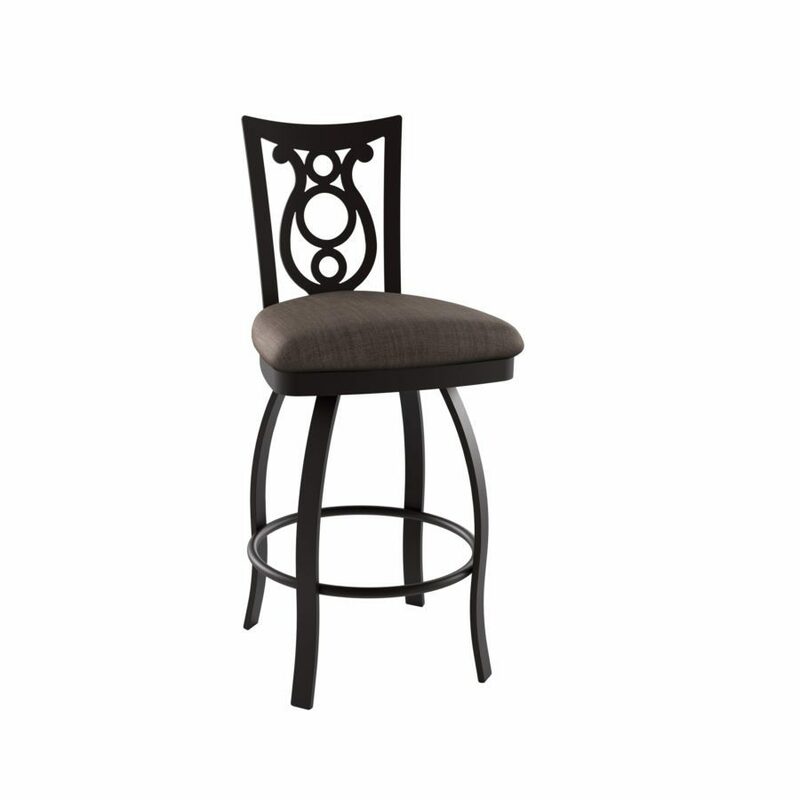 With its back styled after a harp, this stool will make your décor sing. Beautiful fabric for strong lead notes. A gentle femininity in the overtones. A timeless classic, like the favorite piece of music you come back to over and over again. Love at first sight, perhaps, but a love that’s built to last. Available in 26” Counter Height or 30” Bar Height.